At a loss for words? 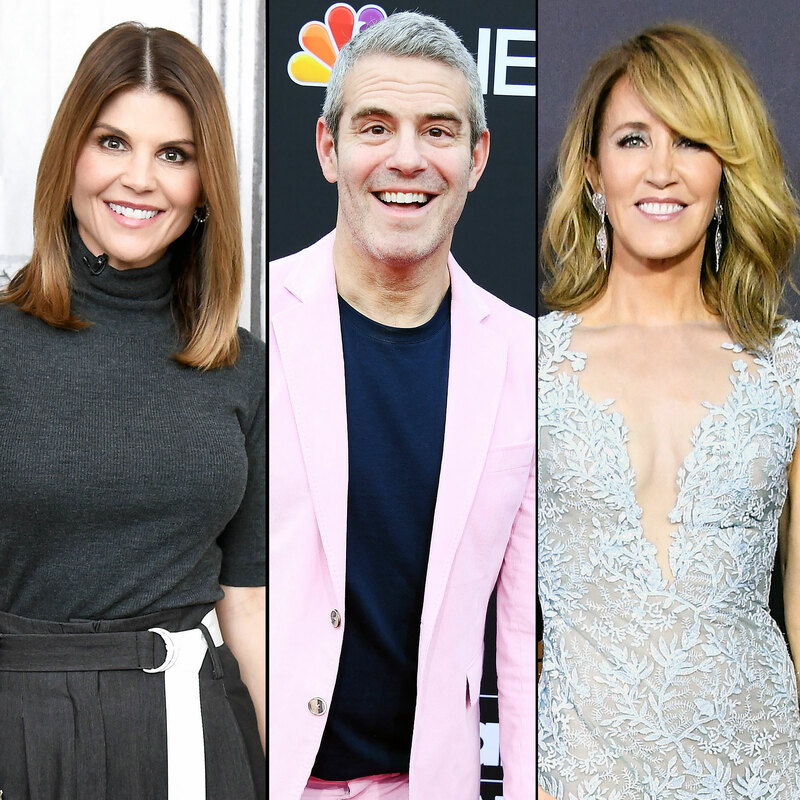 Andy Cohen had a simple, yet hilarious, response to fake Real Housewives taglines made up for Lori Loughlin and Felicity Huffman amid their alleged part in a nationwide college bribery scandal. “Omg,” the Watch What Happens Live host, 50, wrote in the comments section of an Instagram post on Tuesday, March 19, on a photo shared via an account called The Bravo Boy. The joke came less than two weeks after Huffman and Loughlin were named and charged in the headline-making scam dubbed Operation Varsity Blues. The former When Calls the Heart actress and her husband, Mossimo Giannulli, allegedly “agreed to pay bribes totaling $500,000 in exchange for having their two daughters designated as recruits to the USC crew team — despite the fact that they did not participate in crew — thereby facilitating their admission to USC,” according to court documents. Huffman, for her part, allegedly made a $15,000 charitable donation “to participate in the college entrance exam cheating scheme on behalf of her eldest daughter.” Huffman was arrested on March 12 and released later that day on a $250,000 bond. Giannulli was also taken into custody on March 12, while Loughlin was arrested the following day. Each were released on a $1 million bond. Loughlin and Giannulli share daughters Bella, 20, and Olivia Jade, 19, who both attend USC, however, it’s reported that neither girl will return to campus after spring break amid bullying by their peers. Huffman shares daughters Sofia, 18, and Georgia, 17, with husband William H. Macy, who was not indicted in the scam. Another insider tells Us the Shameless actor is “heartbroken” and has “been in tears” about the whole thing. Loughlin, Giannulli and Huffman are all expected to appear in court on March 29.